Typically, trolls in World of Warcraft have roughly the same life span as humans and orcs — they mature at about the same age, get old at about the same age, and “old age” is roughly the same. But most trolls won’t typically live to reach an age considered elderly, because the life of a troll is one that is filled with conflict. Conflict between tribes, conflict with the other Azeroth races, conflict with each other — it’s a rough life. And although establishing a good age for a troll character could be considered fairly easy, that character’s history can be as simple or as convoluted as you feel like making it when you role play. Player-created troll characters are automatically assumed to be Darkspear. You begin your game on the Echo Isles, learning from the assorted trainers and eventually having a nice conversation with Vol’jin. But what you’re presented with from a game-mechanics standpoint doesn’t have to be what you ultimately go with for your character. And if there is one thing to be said about the troll race, it is prolific, with a whole variety of different tribes scattered all over Azeroth. You don’t want to play a Darkspear? You don’t necessarily have to. Trolls do have an entry in the Warcraft RPG source books. The books, again, are not considered canon material, but the age ranges listed in them still gives us a general rule of thumb to go by. According to the guides, trolls reach maturity at around age 17, middle age on the other hand hits at about 30 years of age, a troll is considered “old” when they hit 47-50 years, and the life expectancy for a troll is about 80 years or so. A little less than what a human is expected to live, but again, we’re using these guides as a rule of thumb, not as fact written in stone. If you’d like a particularly wizened troll character, go right ahead — who knows what the loa are capable of, right? However, most trolls don’t really live that long, as evidenced by our ten years or so of wiping out every hostile troll settlement we stumble across in our adventures on Azeroth. Trolls in general don’t exactly do that whole “peaceful society” thing the other races seem to be fond of. In the case of the Darkspear, years of being allied with the Horde have doubtlessly mellowed them out somewhat — Vol’jin’s actions reflect this. 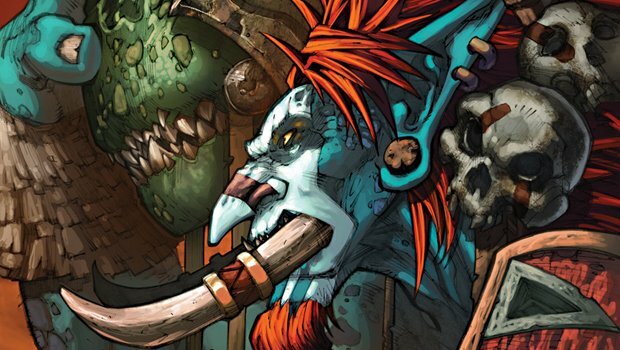 When asked by the Zandalari to join with the other troll tribes in an attempt to rebuild the troll empires of old — through whatever brutal means necessary — Vol’jin declined the offer. He was the only tribe leader to do so. Other tribes don’t have the association with the Horde, but it doesn’t mean that you can’t play a troll from another tribe if you wish to. It simply means that your troll character should have a very good reason for deserting their tribe and joining up with the Horde, because it’s not likely that the Amani, Gurubashi, Bloodscalp, Skullsplitter, or whatever other tribe you happen to choose for your troll’s origins would be particularly happy with a deserter, particularly not in light of events in Mists of Pandaria. Trolls are kind of unique in that they have a vast established history of aggression between the various tribes, yet that vast history hasn’t really been filled in much at all — giant swaths of history are simply left blank, and therefore wide open for a roleplayer to make up just about whatever they’d like. In the case of the Darkspear, here’s what we know: At some point, the tribe was part of the Gurubashi Empire in Stranglethorn Vale. When the Empire began to splinter into smaller tribes, the Darkspear were among the smallest. This led to the Darkspear ultimately being driven out of Stranglethorn altogether, at which point they established a new home on a series of islands instead. This is all well and good, but the only solid date we really have to go on is year 20, which is just after Thrall’s new Horde was formed, and before that new Horde arrived to fight at Hyjal in the Third War. During this time period, Thrall and the Horde left Lordaeron and sailed across the sea to Kalimdor. Along the way, they stumbled across the Darkspear Islands and helped the trolls with both murlocs and a Kul Tiras fleet that seemed intent on attacking the trolls as well. When all was said and done, Thrall managed to save the Darkspear, but he was unable to save Sen’jin, their leader. Sen’jin had a vision that saw his people follow Thrall, and shared it before he died — so Thrall asked the Darkspear to join the Horde. Vol’jin, the chieftain’s son, agreed, and the rest is history. You see, we don’t know exactly how long the Darkspear were on the Darkspear Islands before Thrall arrived. However, we do know from the short story Vol’jin: The Judgment that it was long enough for the Darkspear to have developed legends about First Home, the jungles in which would-be shadow hunters were judged worthy by the loa when they came of age. That indicated the Darkspear had been on the islands for quite some time — long enough that it might not be so likely that a Darkspear troll remembers anything about their time in Stranglethorn Vale. This means that most Darkspear trolls simply remember the islands, and likely remember Thrall’s arrival, Sen’jin’s death, and the subsequent move to Kalimdor, as well as Zalazane’s betrayal once they arrived. Note that a troll born the year Thrall and the new Horde arrived on Kalimdor would only be ten years old by the time Mists of Pandaria rolled around, according to the official timeline. But that’s the Darkspear. What about other troll tribes? There’s not a ton of history regarding the other tribes of trolls out there. There are some sweeping histories surrounding the fall of both the Gurubashi and Amani Empires, but other than that, there isn’t a lot of established history. This means that if you’re playing a troll from a non-Darkspear tribe, you’ve got a lot of leeway in what you can do with the backstory of that character. The big questions you want to ask, however, are the same no matter what tribe your character hails from — why did they leave their tribe, and why did they choose to join the Horde? What does their tribe think about them now? Trolls saw a lot of action in Mists of Pandaria, though most of it was from the viewpoint of the observer, rather than in the thick of things. 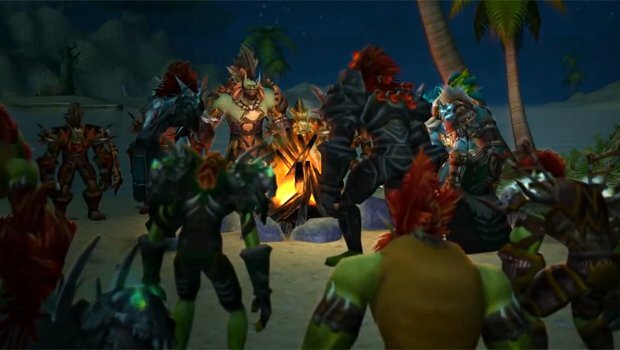 The events on the Isle of Thunder were a direct reflection of what began in Cataclysm, when the Zandalari called together the leaders of the scattered troll tribes and offered them a chance to unite. Vol’jin said no, and walked away — but the other troll leaders seemed to think this was a good idea. This is why the Council of Elders encounter in the Throne of Thunder has representatives from four different troll tribes: leaders for the Drakkari, Amani, Farraki and Gurubashi are all present. They were also all killed. What happened in the Throne of Thunder was a reckoning of sorts, a clear signal to these troll leaders, and to the Zandalari, that the days of troll empires are over with as far as the rest of the world is concerned, and will not be allowed to happen again. But we didn’t systematically wipe out these represented tribes, we simply whittled them down even further. Considering how much damage we’ve inflicted on trolls over the ten years this game has been around, it’s likely that a lot of these scattered tribes are dwindling by now. 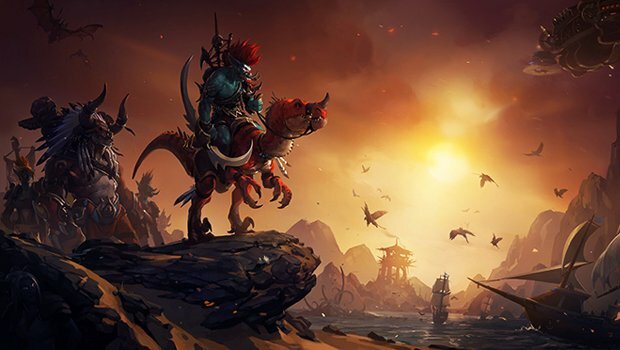 This might even have served as motivation for your character to join the Horde, if they are not Darkspear — perhaps they saw what was coming with the Zandalari and didn’t want to stick around to see what happened. Maybe they didn’t agree with their tribe’s decision to join the Zandalari, and instead chose to go to the Darkspear, as they seem to be one of the strongest troll tribes left in the world. Regardless, if your character played through Mists of Pandaria and experienced all there was to see, they also have another interesting plot point to consider with the Siege of Orgrimmar and the rise and fall of Garrosh Hellscream. Hellscream was notorious for his poor view of trolls, and during the Siege encounter he had the corpses of troll “traitors” strung up all over the capital city. He shut down the troll section of the city, keeping the trolls prisoners. Sure, Garrosh was defeated, and Vol’jin is now leader of the Horde, but how was your troll character affected by those events? Did they know anyone in Orgrimmar? Were they working to put a stop to Hellscream, or desperate to get on his good side? What do they think of Vol’jin as a leader? This expansion may not have any kind of focus on the troll race, but what happened last expansion is definitely food for thought, and enough to keep any troll character keenly interested and invested in what’s going on on Draenor — both to see Hellscream finally get his due, and to make sure that what happened during the Siege never comes to pass again.